Cobb Communications director Ross Cavitt posted a video of a cool-headed 911 dispatcher who pieced together cryptic hints provided by a fast-thinking Uber driver who was allegedly threatened by a passenger. The information the dispatcher got by walking the woman through her situation led to the arrest of Omari Coulthurst by the Marietta Police Department, on suspicion of terroristic threats and simple battery. The incident happened on Tuesday March 26, just before 11 p.m. The alleged victim phoned 911 and hung up the phone. Dispatcher Desmond Harris called the number back, and the following conversation ensued. Harris said he heard her open the door. 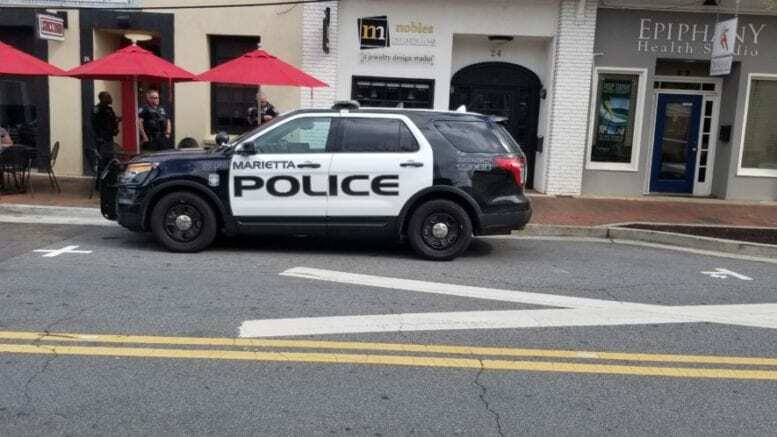 Marietta police arrived on the scene and took the passenger, Coulthurst, into custody. He is now in the Cobb County jail, charged with terroristic threats and acts, simple battery, and theft by taking. Watch the full video and interview with Harris on Cobb County’s Facebook Page. Be the first to comment on "Cobb 911 dispatcher detective work leads to arrest"